Have you ever been in search of information and ventured to the web to find some answers only to discover that once on a particular website you have no clue how to use it? Perhaps a teacher directs you to a complex library database to do research for a paper or your boss tells you he needs research on a deadly disease outbreak by later that day— either way, stress induces. The last thing you have time to do is figure out how to navigate a website, database, or complicated information source. Many websites contain useful information and possess a plethora of useful features, but these websites aren’t always the easiest to use. One such website is The Centers for Disease Control’s Community Guide. This site houses a database of health prevention and intervention information that public health officials, professionals, and even students can utilize to conduct research. The problem is that with such an abundance of information and helpful tools to tailor each user’s experience, knowing how to navigate the site presents a bit of a learning curve. The CDC has recently worked with the PwC to create a new and improved million dollar version of The Community Guide– But, they still need an interactive, engaging way to teach people how to use the site. This is where Hover comes in. Hover is a navigation tool that teaches people functionalities of any website, intuitively, while using it. Skip the time spent reading Q&A pages, watching long, boring video tutorials, or getting frustrated in the midst of learning how to use an unfamiliar website. Hover makes even the most complicated websites user friendly and allows you to focus on the website content rather than learning how to find what you are looking for. Hover works to teach people the features of a website by providing a textual and video/audio explanation of what specific features do by simply hovering over that section of the site. Hover can be your virtual teacher, leaning down to give the extra information you need to complete the task at hand. 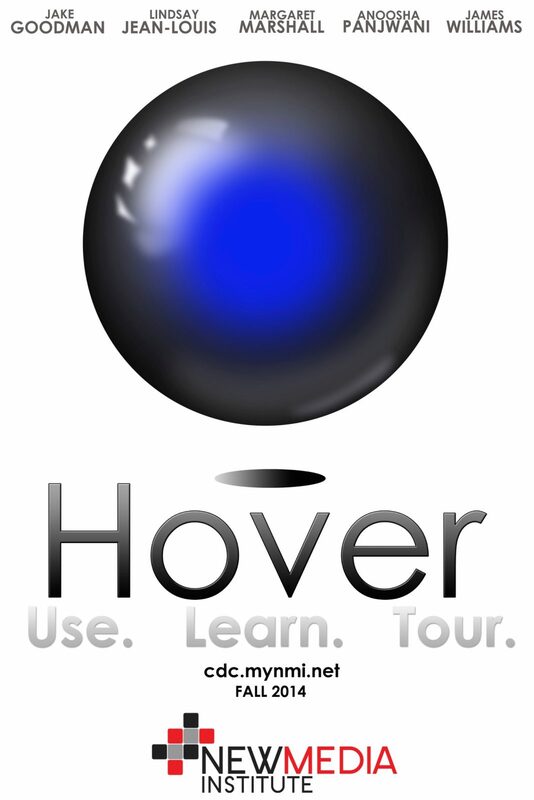 Hover’s goal is to teach users functionalities of any particular website. We hope that Hover will be used as a navigation tool for many different online experiences. Specifically for the Community Guide, Hover will take users through an interactive learning experience, hovering across the various features as they explore the site, so that professionals can focus on helping their communities, rather than learning how to use the new website.